Samsung Dishwasher - Why is Rinse Refill Displayed or Illuminated? 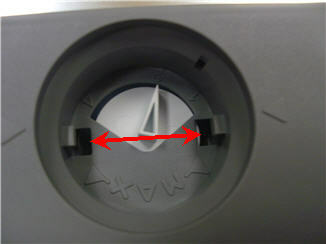 The dishwasher displays the rinse refill icon when the rinse aid reservoir is out of rinse aid. 1. Open the dishwasher door to the fully open position. 2. 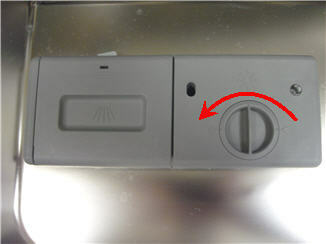 Turn the dispenser knob counter-clockwise to open the cover. 3. Pour the liquid rinse aid into the dispenser opening until the rinse aid level reaches the full mark. 4. 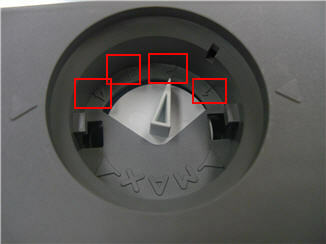 Adjust the rinse aid dispenser setting. You can choose 1, 2, 3, or 4 (the factory default is 3). The larger the number, the larger the amount of rinse aid the dispenser releases. The numbers are highlighted in the image below.